Join four animal helpers and run your own farm-but it's not as easy as it looks! In this match-3 game, it’s up to you to help a friendly farmer run his farm. 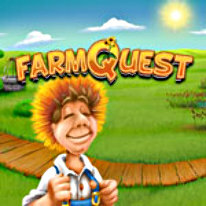 More than 120 levels of farming fun await you. Each day brings new chores and new surprises. Pigs, horses, chickens and sheep—they’re all there and they all want to be fed and cared for. You’re not alone, though—four animal helpers live on the farm too. You’ll need to chase away the fox who wants to eat your chickens, collect honey from the busy bees, and pick ripe apples in the green orchard in exciting time-management levels. You’ll earn money for your hard work—use it to expand and improve your farm or build your own. Take good care of your animals and you’ll earn valuable trophies. You can play in fast-paced action mode—just make sure you take care of all your animals before time runs out! Or sit back and chill out while playing relax mode.